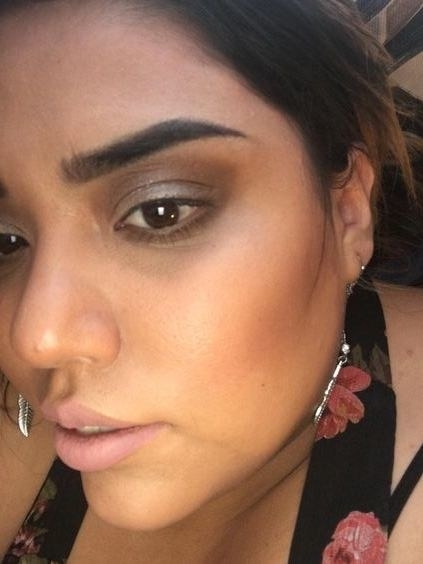 You don't need me to tell you that nice brows are like a golden ticket when it comes to ~feeling~ put together. They frame your peepers, as well as your entire face — if my eyes are the window to my soul, then my brows are the window into my entire existence. 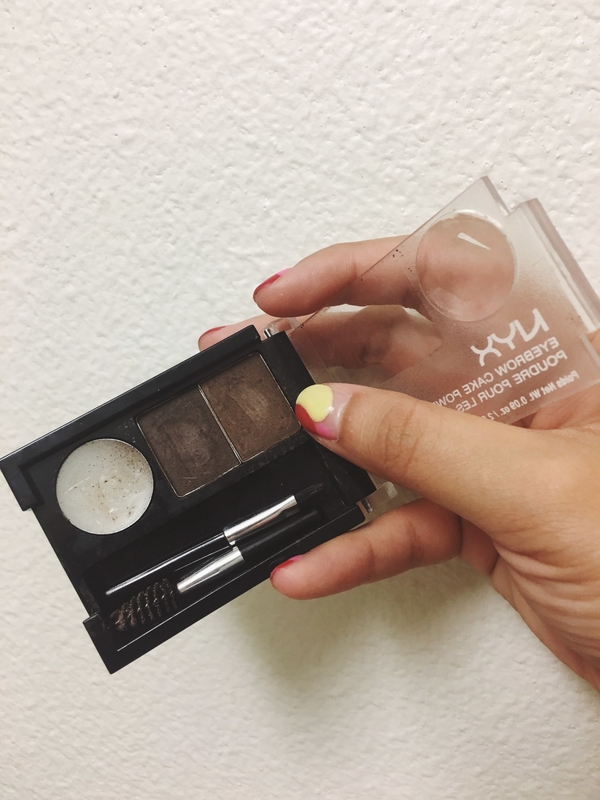 To bridge the gap between my brows and existence, I use NYX Eyebrow Cake Powder, a super handy lil' kit that comes in six shades and never gets lost in my jumble of makeup products, because it's not just another pencil. It comes with two shades. That's right: two (I use Dark Brown/Brown). It's great for me, because some days I'll use an eyebrow pencil and I think the shade is too harsh, and other days, I'm think it's perfect. 😌In other words, I like having ~options~. 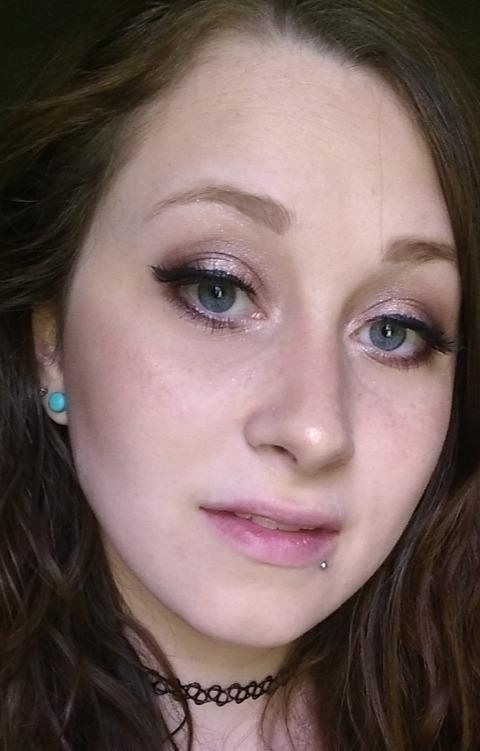 It also kinda depends on what the rest of my makeup looks like. 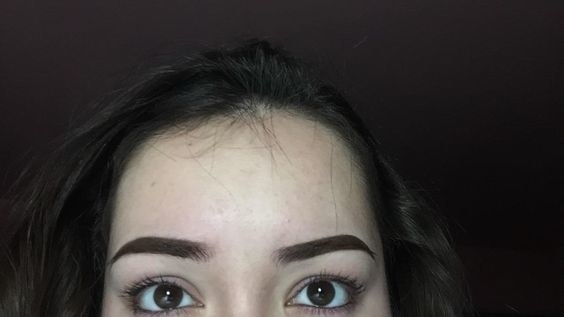 I have this preference where I don't want the inner part of my brows (near the center of my face) to be too filled in or dark, so I use the lighter shade for the inner, more sparse hairs and the darker shade (which is closer to my actually black brows — but I like to go a shade lighter) for everything else, especially the ends. And sometimes I mix both colors together for an in-between brown! 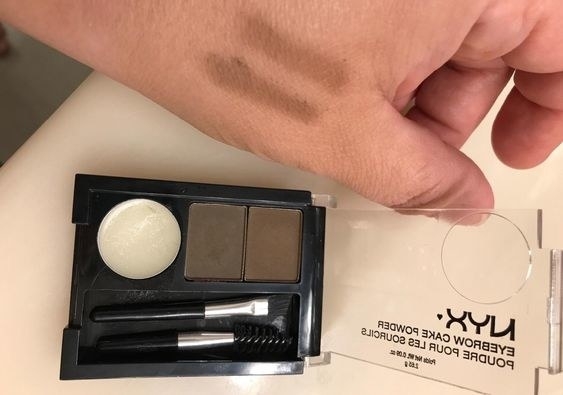 I'm no pro at doing my eyebrows, but wow, this kit makes it so easy — and by it, I mean making my brows appear fuller and accentuating their natural shape, but not making them look ~too done~ or clearly drawn on. 1. I usually discard whatever brush comes included with a makeup product, but the teeny brush actually works quite fine for my Low Maintenance Non-Perfectionist needs. 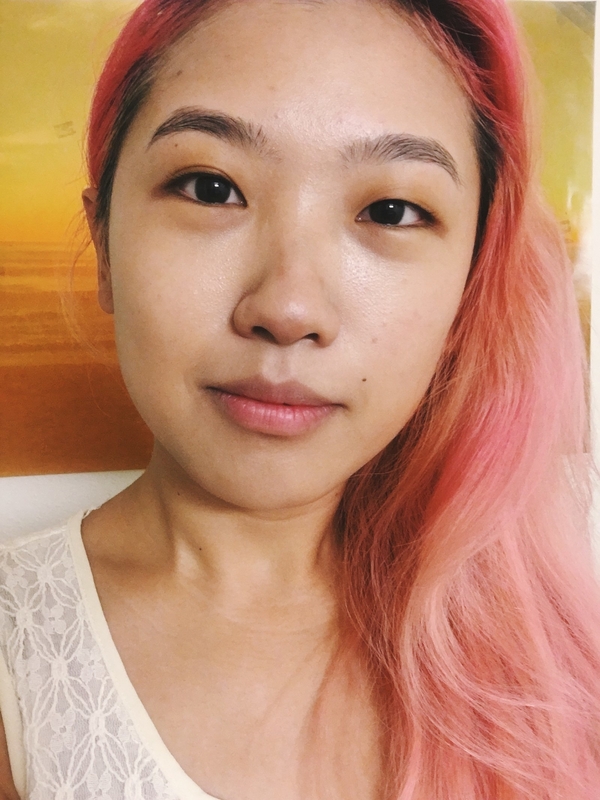 It's thin enough to mimic my hairs pretty naturally, outline my arch, and extend the ends of my brows just a tad (this part is my favorite and makes all the difference, lol). A lot of reviewers think the brush is crap and prefer using their own angled brush (Ecotools sells a nice brush/spoolie set for people who don't want to break the bank *raises hand*), so hey, totally up to you. The spoolie's fine too — idk how picky you can really get about those, lol. It's particularly useful for blending out/undoing some particularly harsh strokes. 2. I don't experience any fallout, but I'm also super gentle when it comes to application. Everything's clean and simple from pan to brow, though some powder has apparently spilled into the wax. 3. I haven't actually used the wax because I find that I don't even need it — I'm also just don't care that much if they happen to fade or smudge, which they haven't — but other reviewers say it helps keep everything in place and gives a nice, ever-so-slightly-slick finish. 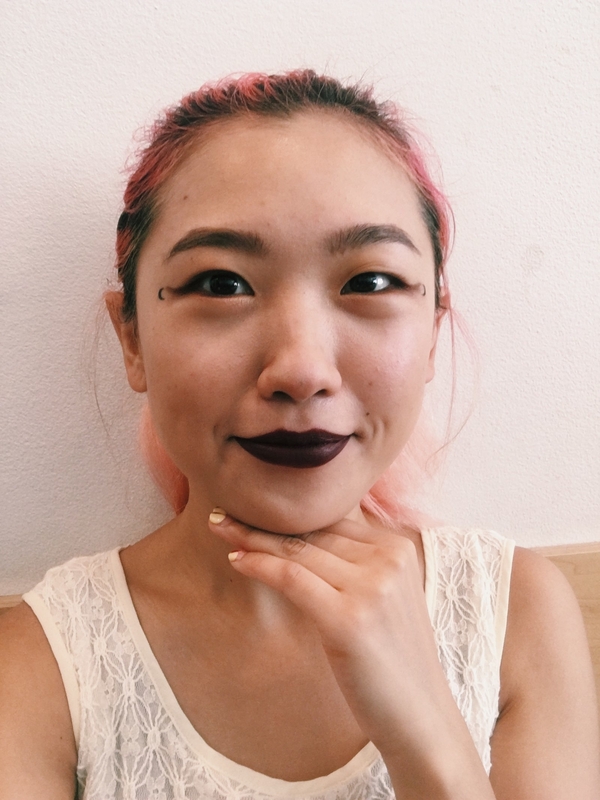 No matter what color your brows (or hair) are, you'll find a shade that suits you, and the versatility of having two shades at your disposal equals *chef kiss emoji*. Get the dark brown/brown shade from Amazon for $6 (also available in black/gray, brunette, blonde, and auburn/red).